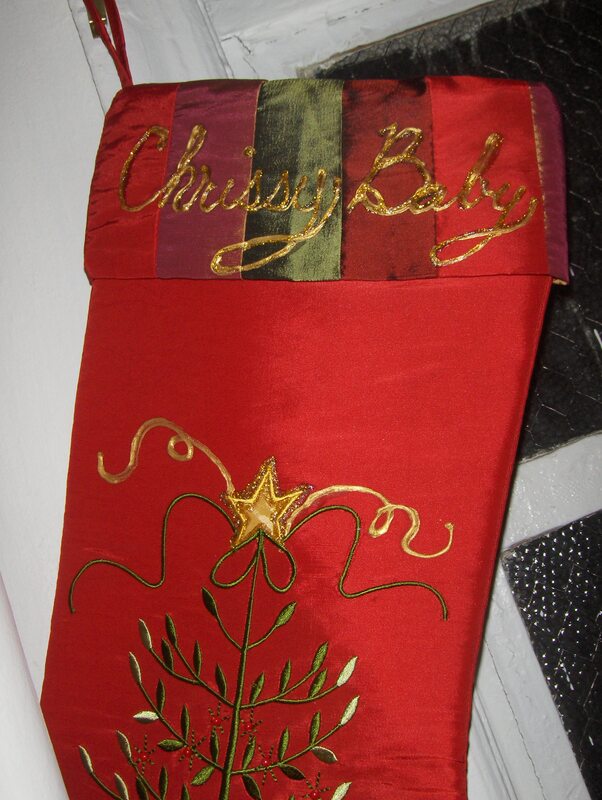 Mom C sent Travis his childhood Christmas stocking. She made one for me as well, so that I wouldn’t feel left out. His family likes to refer to me as “Chrissy Baby,” so as not to confuse me with his cousin whose name is also Chrissy. “Chrissy Baby” is the result of a very embarrassing story, which I will not disclose here. But as far as nicknames go, I’m pleased with it.